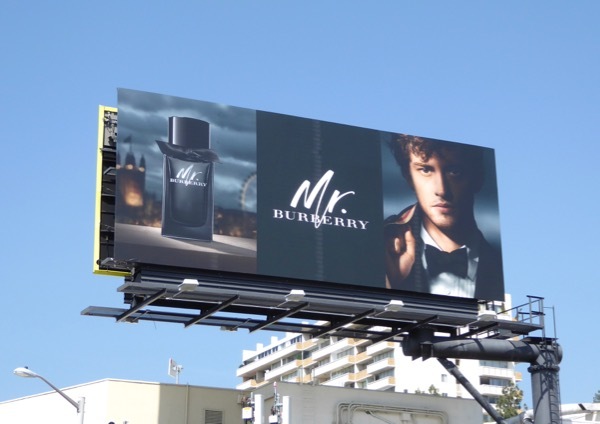 This long holiday weekend Daily Billboard is shining a spotlight on designer fragrance billboards for British fashion house Burberry known for their iconic trench coats. Actress Lily James returns to the skies for the My Burberry perfume this summer, whilst actor Josh Whitehouse is the face of the male fragrance with the dapper bow tie on its bottle, Mr. Burberry. 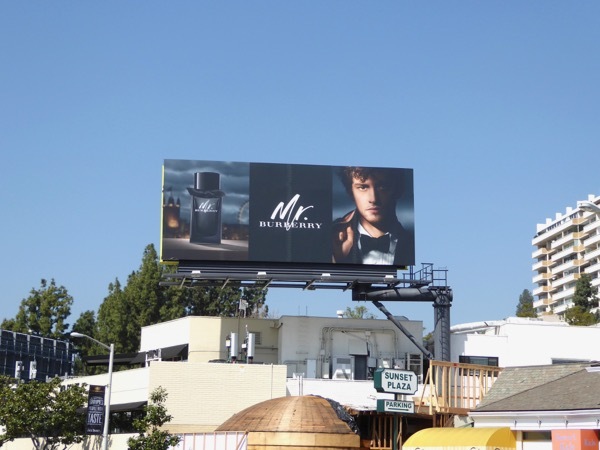 The seductive My Burberry Black billboard was first snapped above West Hollywood's Sunset Plaza on August 22, 2016, then spotted again when it returned around January 17, 2017. Meanwhile the My Burberry Blush ad creative was photographed in the small location on August 26, 2017. 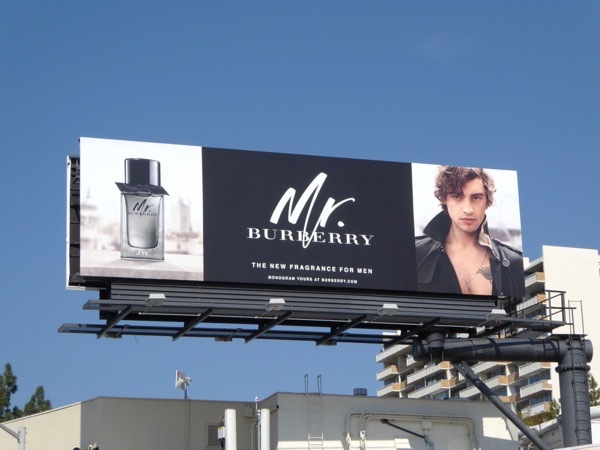 The daytime Mr. Burberry ad creative was snapped on April 12, 2016, whilst the nighttime billboard was photographed in the same location on April 4, 2017. 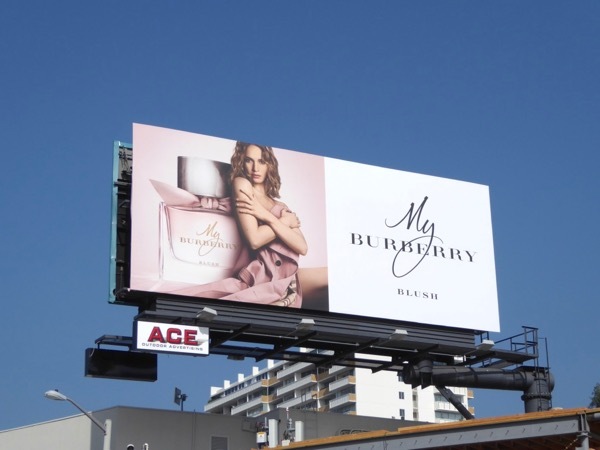 You can also compare these new ads to the previous outdoor ad campaign for My Burberry featuring Cara Delevingne and Kate Moss. 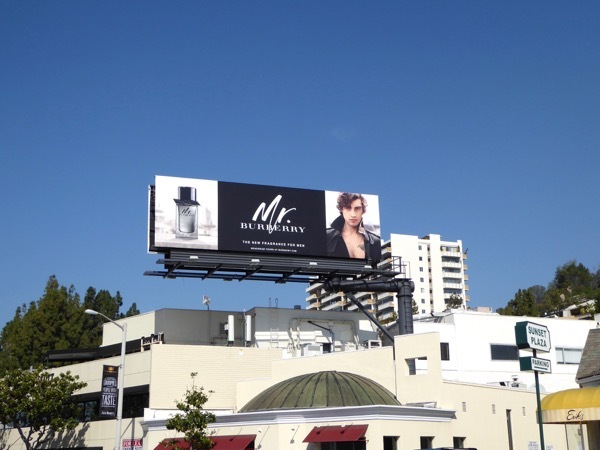 Plus fans of Lily James can also check out these War & Peace mini-series billboards and Cinderella movie billboards. You may not always feel like you look your best, but there's no reason why you can't smell like a million dollars every time you go out.